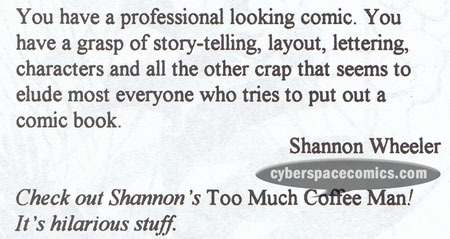 Shannon Wheeler is best known as the creator of Too Much Coffee Man. With his roots in independent comics, Wheeler enjoys checking out other indy books, as we can tell from his letter to Diebold, A Silent Partner‘s Production, which was published from 1994-1995. You can read his letter below.